Cayman Brac, situated approximately 145 kilometres from Grand Cayman and 8 kilometres from Little Cayman, is known for offering a stunning natural experience in the islands. Known for its limestone outcropping, called The Bluff, it offers great resorts, caves, diving, hiking, fishing and more. If you're planning a stop, or an entire vacation, here, these are the beaches where you'll want to spend your downtime. The southwest coast of the island is known for offering stunning white sand beaches. An example of the Caribbean's true natural beauty, where you choose to sunbathe is up to you. The Brac Reef Beach Resort is located nearby many of these options and is a great place to vacation. Easily accessible, Deadman's Point can be found near the heart of the island. This beach sees many tourists and locals but overcrowding is not an issue. Located on the western coast, parking can be found nearby and the Cayman Brac Museum is approximately half a mile away. It's a must-see! A bay with a beautiful name, Sea Feather Bay beach is a relatively unknown gem on the Brac. Located centrally on the island's southern coast, near South Side Road, it's incredibly private and great for romantic strolls, solo excursions and small, low-key gatherings. Unless you love the sun, bring an umbrella – there is little shade. Cat Head Bay Beach offers a rocky coastline and strong current. Quite private, it can be found along Cayman Brac's southeast coast. Great for an afternoon visit, it is situated nearby both the main island museum and the Spellman Mclaughlin Home. Located near the Breakers in Cayman Brac's East End, Pollard Bay is home to a beautiful expanse of sand that beckons to be laid upon. There are a number of dive sites here and a range of more deserted beaches located underneat the Bluff, towards the east. It is also a great place to go rock climbing. Home to the SS Kersearge's 1860 Windlass, which is situated in the ironshore, Buccaneer's Beach can be found just north of the airport. Ideal for snorkeling, the area is quite rocky and not suitable for sunbathing or picnicking. As Cayman Brac is a mere 18 square miles, there is no public transportation system. Visitors are encouraged to rent a moped, scooter, bicycle or car to see the island easily and at their leisure. It's also important to keep in mind that, due to the island's more rugged nature, many beaches do not come equipped with facilities such as public bathrooms, umbrellas and picnic tables. For the best day out, plan accordingly. 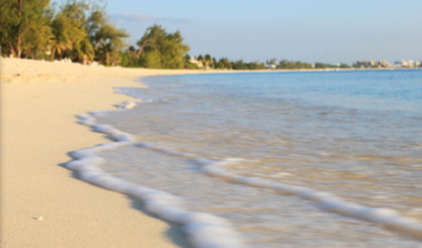 Have you visited any of these Cayman Brac beaches? Which was YOUR favourite? Tuesday, 19th May 2015, 08:26pm.